We all know that Coach Henderson (Chip) has done a great job with program over the last 25 years and has a ton of support. So, we’ve decided that a golf tournament that could do some good while having fun was a great option. Especially for the program that helped get us to the Big Leagues. We’ll be playing at Fields Ferry Golf Club on November 3, 2018 come join us and support this great program! 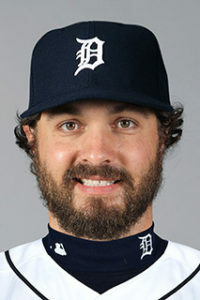 Josh Graduated from Calhoun High School in 2007 and was drafted in the first round by the Nationals in the same year. Smoker signed with the Mets in in 2015 after playing with the Rockford Aviators in 2014. Josh was called up on August 19, 2016 making his Big League debut and picked up his first Major League win 10 days later against Miami. Charlie graduated from Calhoun High School in 2007 and was drafted in the first round by the Giants that same year. Culberson made his MLB debut on May 13, 2012 and collected his first Big League hit that same day. 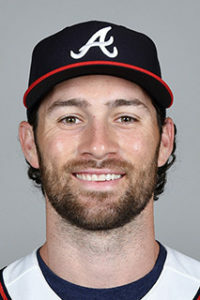 In July of 2012 Culberson was traded to Colorado where he would stay through the 2015 season when granted free agency. Signing with the Dodgers in November of 2015, Charlie helped end Vin Scully’s career in style, hitting a walk off Home Run in the club’s final home game of 2016 clinching the NL West.